Trixie has been a bit on edge lately as she knows something is up from all the sorting we’ve been doing the past couple of weeks. She’s always adored our eldest cat Sam and seeks him out to snuggle with him, but never as much as now. Seeing them like this reminds me of how much comfort Sam took from Scout when he was younger. 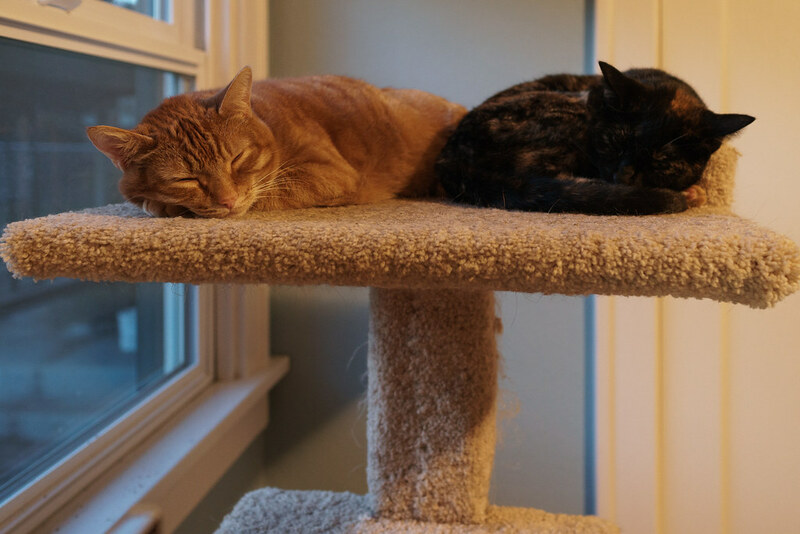 This entry was posted in Pets and tagged cat, cat tree, orange tabby, Sam, sleeping, snuggling, tortoiseshell cat, Trixie. Bookmark the permalink.